2 Beds 2 Baths 859 Sq. ft.
What a fantastic opportunity to own in Alamitos Beach! This stunning top floor 2bedroom,2bathroom home offers a terrific outlook onto the cityscape and city lights! This contemporary and secure complex was fully remodeled in 2007! This incredible buy offers an open floor plan with vaulted ceilings, wood type floors, granite kitchen and bathroom counter tops, stainless gas appliances, inside washer/dryer, upgraded carpet in the bedrooms and a master bedroom balcony, along with custom designer paint and a living room fireplace! Additionally, this home offers a rare "2" secure gated parking spaces and an additional storage room. Walking distance to the nearby Broadway corridor or 4th St. Retro row you will have plenty of shopping, dining or entertainment options nearby. Not to mention the many terrific parks and outdoor spaces for your enjoyment! 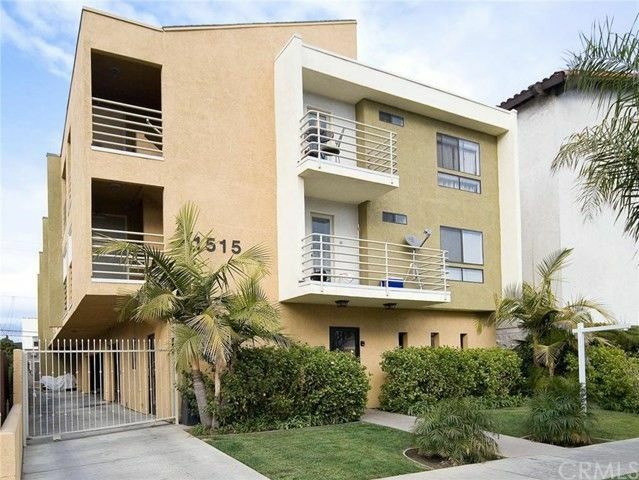 Just blocks to the beach as well and a short distance from the vibrant Downtown or nearby Belmont Shore areas too! This is opportunity knocking and don't let it pass you by! Low HOA dues and well maintained complex.